Why is it beneficial to work with a mentor? The North East LEP recognises the importance of supporting businesses to scale - growing businesses are central to the health of the region’s economy. One of the key barriers which business leaders face when it comes to growing their business is the ability to develop leadership skills and access to mentors who have experience of successfully scaling a business themselves. Growth through Mentoring brings business leaders from high growth potential companies together with these experienced mentors. People who have successfully scaled a business understand the challenges and are willing to share their experiences to help others as they grow their business. 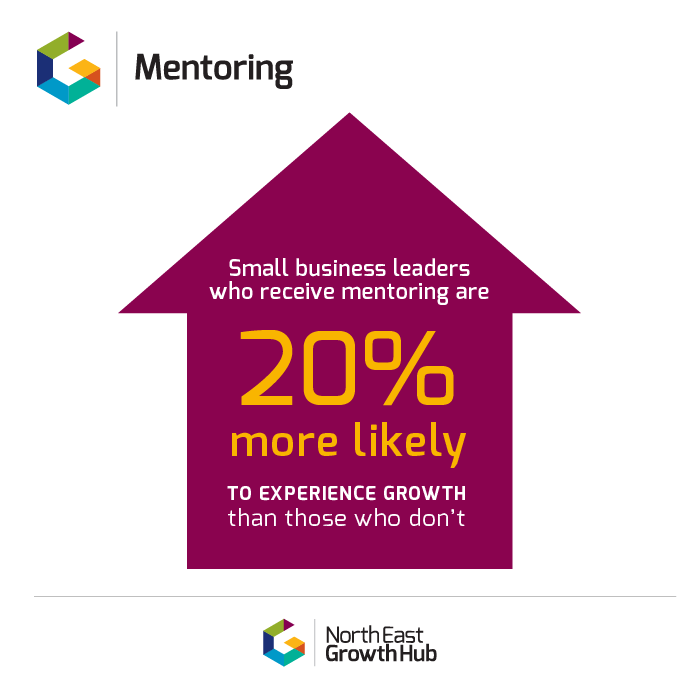 4 in 10 scaleup leaders cite mentoring as one of the key reasons they had experienced high growth - many of our mentors sought the support of a mentor as they grew their business and understand ‘first hand’ the value it can bring and that is why they give their time to the programme. We know businesses that grow quickly make a huge contribution to our economy. Supporting businesses to grow and scale is a huge priority for us at the North East Local Enterprise Partnership (LEP). Businesses experiencing rapid growth need to learn to cope quickly with changing demands, but many find it hard to develop their managerial and leadership talent while their organisations are growing so fast. It can also be lonely at the top and having someone to talk to outside of the business, that recognises and understands these challenges, can be invaluable. 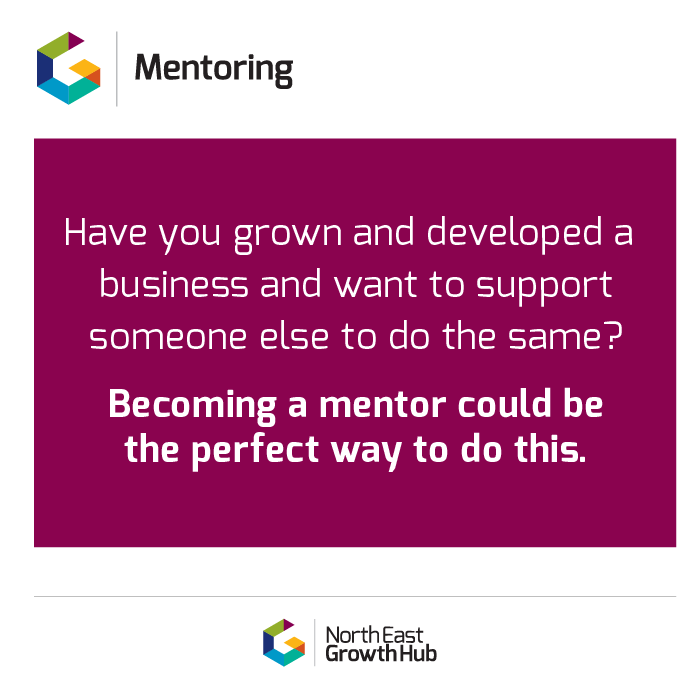 That is why we introduced our growth through mentoring programme – to give our business leaders from growing companies the opportunity to speak to someone who has been there and done it! All our mentors have experience of successfully scaling a business themselves and are willing to give their time to support mentees achieve their own business growth ambitions. Could you be one of our Mentors? Our mentors are entrepreneurs/business leaders that have significantly scaled a high growth business – if this sounds like you, we’d welcome a discussion. An introduction to all the principles of sales and marketing you need for your business. How do you know people will buy into your brilliant business idea? Research has shown that small businesses that receive mentoring are 20% more likely to grow than those that don’t. In the UK, only 22% of small and medium sized businesses currently make use of business mentors and we want to improve that figure. 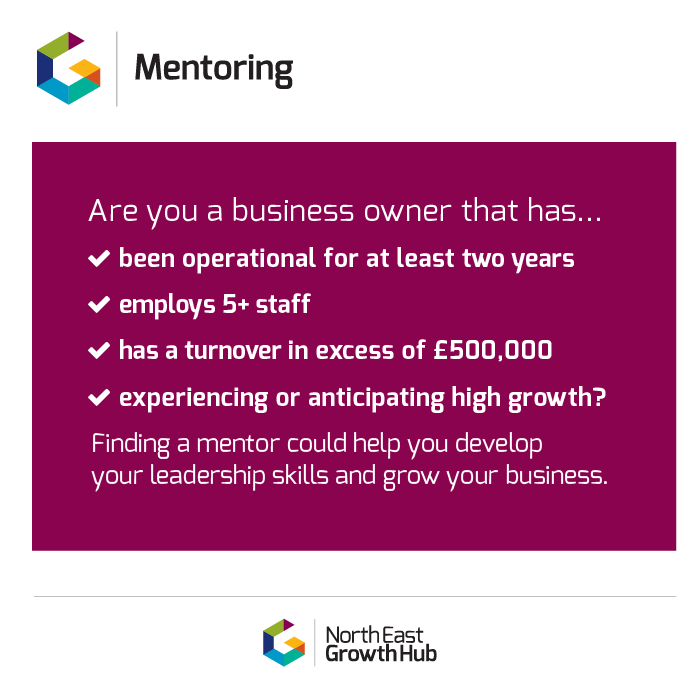 The Growth through Mentoring scheme is open to business owners or managers with an established business that can demonstrate high growth potential. Why should you work with a business mentor and how can it help your business to grow? Watch this short clip to find out.